The vegan diet can bring stupendous benefits to your health. In recent times, with the increasing awareness on the health issues people are becoming more and more concerned about their diet and lifestyle. Many people and turning to a vegan diet as there are so many health benefits associated the vegan diet. Following are the few benefits of adopting a more vegetable friendly diet. Meat and different dairy products contains excessive amount of saturated fats, but vegan diets are free of cholesterol. Most of the vegan diets contain a low amount of saturated fat. By decreasing the amount of saturated fats in your daily meal you can improve your health enormously. Vegan diet reduces the risk of major diseases such as heart attack and cancer. If you are eating vegetables, make sure you are in taking sufficient proteins, calcium, Vitamin B12, Vitamin D, iron, and zinc. Vegan diet also helps you in losing weight. According to a study vegan eaters have lower body mass index (BMI) than the non-vegans. One more study found that those who ate vegan reduce weight significantly than those who ate meat products. Vegan diet also prevents from type 2 diabetes. Diabetes can be controlled and improved by vegan eating patterns combined with some exercises. These food can reduce the need for medications. The regular use of legumes and whole grains or processed cereals can improve the glycemic control in diabetic as well as insulin-resistant individuals. The regular consumption of whole grains can reduce the risk of type 2 diabetes and cardiovascular diseases. Vegan diet also benefits the skin. The balanced diet can keep your skin moisturized, wrinkle free and radiant. Plant-based diets are high in vitamins and antioxidants. These vitamins and antioxidants are the building blocks for radiant skin. Plant-based diet also contains the high amount of fibers. 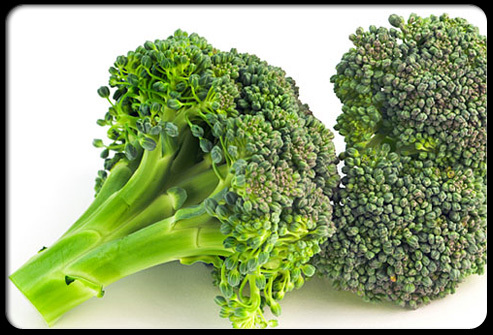 Vegetables like broccoli, beans, avocado, and spinach contains the high amount of fiber. This fiber helps in getting a healthier skin by flushing out toxins. Vitamin C and E are easily found in common vegan meals act as powerful antioxidants that control skin-damaging free radicals and combat wrinkles, scars, and brown spots, promoting healthy and glowing skin. You can also get vitamin E from many nuts and seeds such as walnuts, almonds, ground flax seeds, and sunflower seeds. The heart is the most important organ of the body. In order to keep a healthy body it is essential to keep a healthy heart. The plant-based diet has been shown to prevent a number of ailments. Especially vegan diet is really good for a healthy heart. The plant-based diets can reduce the risk of developing metabolic syndrome. This metabolic syndrome can put you at a higher risk for heart diseases. If you have metabolic syndrome this means you have at least three out of five serious heart health risk factors. These include high blood pressure, high blood sugar, low good cholesterol, and high triglycerides. According to a report published in 1999, it was found that the mortality from coronary heart disease is 24 % less in vegan eaters than the non-vegetarians. Another published report found that the risk of coronary heart disease is 32% less in vegetarians than the non-vegetarians. Vegan eaters usually have lower BMI. Zyana Morris is a passionate blogger, who loves to write on health and lifestyle. Follow @ZyanaMorris for more health related updates. Kindly Share your Comments in the box below and do not forget to sucscribe to the blog for more amazing Health Articles.